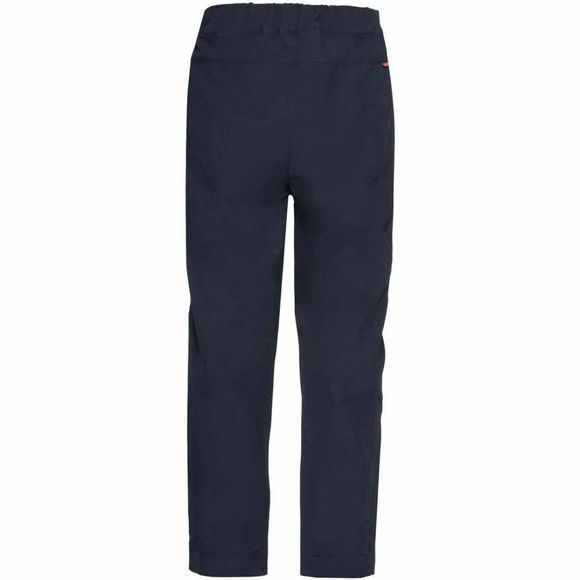 The Boys Muntjac Pants from Vaude is a pair of comfortable, wind repellent softshell pants for kids are an excellent choice for travel, hiking and cozy evenings around the campfire. But they're also great for everyday play and forest kindergarten as well. 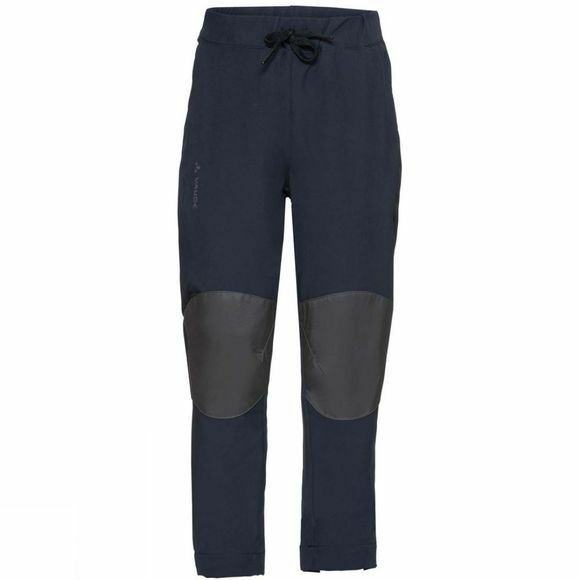 Looking similar to a pair of casual jogging pants, the tightly woven yet lightweight stretchy fabric, narrow legs and extra reinforced knees make them an ideal all-round choice for outdoor kids! Vaude's high performance children's clothing features premium quality materials, child-friendly designs and colors, as well as eco-friendly manufacturing. Vaude develop intelligent children's outdoor clothing that is durable and long-lasting, so it can be passed on from child to child. The Vaude Green Shape label stands for environmentally friendly, functional products made from sustainable materials.